2017 was the year of minimalism. This trend has spilled into 2018, and there’s no doubt it is here to stay. Minimalizing your space is a refreshing way to decrease unwanted clutter and recognize what possessions are important to you. Even if you don’t consider yourself a “minimalist,” making room for important things in your life is a healthy habit to implement. Cleaning out your closet is a great first step to minimalize your possessions. A good rule to follow is to go through your clothes and shoes and throw out anything that you haven’t worn in the past 6-12 months. Throwing out doesn’t necessarily mean the garbage. There are plenty of shelters and donation organizations that will happily take the clothing off your hands. 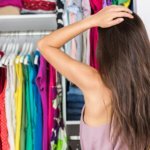 If the twelve-month rule doesn’t apply to you, try to pick out staple items in your closet that you can’t go without. You probably don’t need five of the same sweater in different colors. Your taste in decor will probably change over the four years of college. Figure out if all of your decorations are coordinating. If not, throw out the misfits. Getting rid of decorations is a great way to decrease clutter and unwanted busyness that your dorm room has accumulated. You’ll be thankful for this tip come graduation when you are getting ready to move into a new place. In such a small space, organization is key. Storage cubes are good for closet and shoe organization. If the bed in your room is higher up, shoe racks are also helpful. Have a basket on top of your MicroChill for your non-refrigerated snacks. 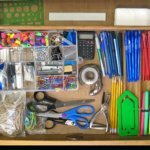 Invest in desk drawer organizers. This way, you will know exactly where your skinny pink highlighter is. If you’re lacking ideas, Pinterest is a great tool to take advantage of when it comes to organization. Traveling has never been easier than it is now. Gone are the days of MapQuest and struggling in with the travel apps. When they said “There’s an app for everything,” they weren’t kidding. This generation of travelers want the hottest deals and the lowest prices when roaming the globe – especially if they’re taking a semester abroad. If you’re planning on taking an international trip in the near future, we’ll break down five must-have travel apps to download before your new adventure begins! If you’re a millennial, you’ll most likely be traveling by air. We all know that plane tickets aren’t always cheap, and that’s why Hopper is a great help in airfare price-watching. With the slogan “Predict. Watch. Buy. Fly.”, Hopper makes booking flights that easy. If you know when you will be going, you can just punch in the dates, and let the app do the rest. Because you might not always be able to connect to WiFi when you’re abroad, this app is a serious life saver. With Maps. Me you’re able to look at maps of the country you’re in without an internet connection. Whether you’re walking, cycling, or driving, Maps.Me will help get you there fast, and for free. When it comes to studying abroad, you’re probably not going to stay in the same place for long. On the days you’re not working on academics, you might explore other nearby places. Whether that’s hopping on a boat or train to another country, or just visiting a different city, you’ll need a place to sleep. Hostelworld let’s you find and book different hostels worldwide. Rated with nearly 5 stars, it’s secure, convenient, and perfect at fulfilling that feeling of wanderlust. It’s no wonder Huffington Post’s round up featured Hostelworld as one of the best travel apps. Online reviews are a beautiful thing. Picking a place to eat, drink and be merry is so easy with apps like Foursquare. You can read reviews on restaurants, coffee shops, and night-life in the area so you don’t have to go in blind. Foursquare makes it easy for you and your friends to discover hidden gems globally, which is perfect for those who are traveling abroad to unfamiliar destinations. Data charges are ridiculous when you’re studying abroad in a different country. WhatsApp is a necessity when it comes to keeping in touch with friends and family back home in the United States. Here’s the breakdown: both you and your loved one will need to download the app. It can work as a text messenger, or you can make a call, as long as you both have an internet connection. That’s basically it, it’s simple, secure and reliable. Say goodbye to outrageous data charges and homesickness. Thanks WhatsApp! October is spooky, and we’re not just talking about Halloween. You know what we’re talking about – it’s midterm season. Most college students dread this part of the semester. Your week might be filled with sleepless nights, followed by upset stomachs from all the junk you’ve been munching on during study hours. Unfortunately, most students mistakenly eat or drink the wrong foods during midterms. Sweet and salty treats will usually lead to stomach issues, especially if over-eaten. We’re here to help you find the best snacks and meals to properly fuel you and your brain up for midterms! Did you know that certain foods can affect your exam performance? Your brain literally needs vitamin-dense foods to create the energy that will make your work more efficient. Eating the right food for your brain will decrease fogginess and fatigue. According to the BBC, eating a balanced diet can help you focus, which will lead to more efficient studying, and overall academic performance. Click here to read more from BBC on which foods can have a positive affect on your brain. Aside from food, it’s also important to give your body plenty of rest and hydrate with lots of H20. So, what foods you should try to stay away from? We know it seems impossible to make gourmet inspired meals in a dorm room, let alone tasty ones. Luckily, with the help of your MicroChill®, you’ll be able to accept the challenge! If your exam is in the morning, you’ll want a yummy breakfast filled with slow releasing carbs which can be found in whole grains. Our go to would be granola or oatmeal, which can be made right in your microwave! Here’s a tasty recipe for a homemade granola from Real Mom Kitchen. We love this recipe because it can be eaten with milk or yogurt as a breakfast, or eaten by itself as a healthy snack on the go. Perfect for those college students running late to an exam, just toss some in your backpack and snack on the way! If your exam is at night, we have the perfect pre-exam dinner option for you: Salmon. Fish is jam packed with Omega-3’s and protein which is amazing for brain health and concentration. This recipe from Healthy Aperture should do the trick, complete this tasty dish with some steamed broccoli or carrots and you’ve got yourself a healthy meal filled with iron and fibre. The great thing about all of these dishes is they can all be made right in the comfort of your dorm room! Here are two great snack you can prep for the week of mid-terms. Don’t be afraid of vegetables! Kale is a super food you’ll want to incorporate into your diet, and this leafy green tastes even better crispy! Here’s a quick and easy recipe you’ve got to try. Dark Chocolate Bark with cranberry, pistachios and pecans. Not only does dark chocolate taste delicious, but it also has many benefits including anti-inflammatory and anti-oxidants. Adding nuts and dried fruit is a great and healthy addition. Here’s the recipe! Books – Sometimes the campus bookstore can be a bit pricey, try to shop around first and remember that you also have to option to rent. Try Chegg, Amazon or Slug Books! Dorm Necessities – A mini fridge will help save your dorm life & don’t forget to stock it up with plenty of water, and healthy foods. Sleep Gear – Comfy pillows/sheets/favorite stuffed animal – Whatever will help catch those extra z’s at night, you’ll need as many as you can get! Map of Campus – and any other paperwork you’ll need to help you find your classes, offices, student resources, etc. School Supplies – Don’t overdo it. Look at your syllabi and only get the required supplies. 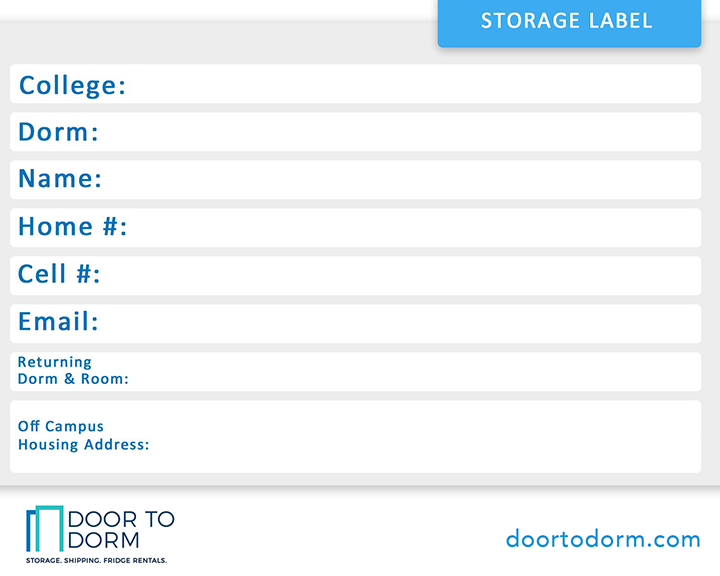 Memories – Because you’ll be moving into a dorm room, you can’t take all your belongings from home. Maybe pick 5 of your favorite memories to keep from cluttering. Perhaps pictures of friends/family back home to start off? Clothes – Only pack what you’ll need for the fall semester. You can swap clothes for spring when you go back home! Bathroom – Because you’ll probably have to share a bathroom, a bathroom caddy helps keep all your bathroom items organized and together. Dry erase board/calendar – This will help you stay organized and keep track of your classes and times. Headphones – So you won’t disturb your roomie when you’re listening to your heavy rock, rap, or whatever music you like. They’re also great for watching your favorite movie late at night. Alarm Clock – DON’T rely on your cell phone to be your alarm. There are too many possibilities of it not working and you risking the chance to miss that 8am class isn’t worth it! Organization – Living in a dorm room is all about organization. Invest in several plastic bins, vacuum seal bags or any other items you can use to help organize all your belongings. Establish a Monthly Budget – Take a look at all your expenses for the month and try to organize a monthly budget to help you distribute your funds accurately. This is very helpful if you have a part time job or are only living off of your loans, financial aid or scholarship income. Monetary – University college card/ID, bank card/credit card. Although credit cards can be dangerous, they are great for emergencies. You just have to be responsible and only use for emergencies. (Unfortunately, burritos at 2AM doesn’t count as an emergency)! Brace yourselves: college is coming. So what does that mean for you, an incoming freshman? This means that you should enjoy your summer vacation and current lifestyle. Take in what it’s like to live at home, because sooner or later you’re going to miss it. Mom’s cooking, or direct access to food in general — i.e. the kitchen just down the hall from your room. Enjoy all those warm home cooked meals now, and show gratitude to mom for serving you dinner AND dessert. It may not seem like a big deal now, but dessert in college is a bag of M&M’s you bought from a vending machine with change you managed to scrounge up… Luckily, Collegiate offers combo packages for fridge and microwave rentals. You can make some pretty tasty dorm room meals with these fun recipes. Your new roommate will definitely be impressed! Fresh Laundry. Now is a good time to learn how to do laundry. Once you go off to college there won’t be VIP laundry services available in your dorm room. No more arriving to your room with freshly folded clothes sitting atop your perfectly made bed. On that same note, you might want to start saving those quarters! Multi-Tasking. If you think high school was busy, you haven’t seen anything yet. Between going to class, homework, clubs and organizations, sleep and friends, you’ll definitely have to learn how to prioritize your time. Say goodbye to the days where you could fit everything into one day. We’ll just leave this right here… Obviously you should select the two more important choices. The sweet, unconditional love you receive from your pet(s). Be sure to soak up all the fuzzy cuddles, sloppy kisses and playtime sessions from your beloved pets now. You might not get any of that for a few solid months, but don’t fret. Your furry pal will be just as happy to see you when winter break comes! Okay, we realize that you’re probably traumatized by now, and possibly dreading the fall semester. But it’s not all that bad. In fact, it’s actually going to be one of the BEST experiences of your life. And although you might miss a few things from back home, you’re going to gain a whole lot more than the five listed above. You should probably still go give mom (and pet) a big hug right now anyway! The sun is shining, the birds are chirping and the winter coats have been packed away. Spring is right around the corner! This means one thing to most college students… Spring Break! It’s the coveted week off from your second semester where you toss the books on your desk and check out for a glorious 9 days. Can’t afford that overpriced trip to Cancun? Don’t feel like dumping all your cash into a week in Daytona? There are tons of ways to get creative and break away from the typical spring breakers and save yourself some money while you are at it. My favorite Spring Break experience was when 6 of my closest friends and I borrowed a van and took a road trip all over Arizona. The biggest expense of that trip was the plane ticket out West. We were able to a good deal by using kayak.com. We couldn’t wait to check out the vastness of the Grand Canyon and the tranquility of the Red Rocks in Sedona. These National Parks and monuments are free so that will leave you wiggle room for a hotel room or a classy Airbnb. We even camped out a few nights, sleeping under the big western sky. Road trips are a great way to spend quality time with your loved ones and experiencing the unique things that the country has to offer. Don’t forget to make a killer playlist before you leave! Use this map to find a National Park that interests you. On the note of Airbnb, I have had some great experiences with it. This amazing company can provide you with cute, off-the-beaten-path housing for a minimum cost. Always wanted to sleep in an RV by a lake? No problem. Have you dreamed of a swanky London loft? You got it. The world is your oyster with this amazing app. You can plan an entire European vacation and never step foot in a hotel. Make sure you read the reviews on each listing and start a dialogue with your host. Airbnb does their best to insure the safety of their clients, but it’s always the best idea to use common sense. The key to planning any vacation is to DO YOUR RESEARCH! There are so many resources available to those looking to travel on a budget. You can visit Groupon for endless all inclusive travel packages. I have my eye on the 8 day trip to Italy for $700! If you still want to make it to Cancun, here is an amazing deal from Travelzoo for $800. You also may want to check out StudentCity, there are some great deals there for all the usual Spring Break hot spots. Just make sure you do your homework. Look online for discounts and coupons. Read reviews and make sure that your location is right for you. You may decide to stay in the Big Apple for Spring Break. Luckily, there is an endless amount of activities in New York City to keep you busy during your vacation. This would be a great opportunity for you to check out all the typical tourist attractions that make New York unique. You could spend a day on Gallery Row, walk across the Brooklyn Bridge, explore Central Park and visit the museums. There are plenty of concerts and plays and special events. If you need to get out of the city, hop in the car for an hour or two and head up to the mountains for a hike or a camping trip. When it comes to Spring Break, the world is your oyster. Make sure you take the time to properly plan so you can get the best out of your budget. If you have your whole week organized there should be few financial surprises. Making the transition from home to college comes with plenty of new changes. Before the school year began, you might have heard that your next four years of school will consist of instant ramen noodles and Hot Pockets, but that’s not completely true. Living in a dorm room doesn’t necessarily mean suffering through all the instant, frozen and cafeteria food you’ve had this past semester; it’s time now to get creative. They weren’t lying when they said breakfast is the most important meal of the day! Instead of waiting in line at the cafeteria for an omelet, just make it yourself! This super easy recipe allows you to cook an awesome breakfast in a coffee mug. Cute AND delicious. This recipe comes from Spoon University, but feel free to throw in whatever goodies you want! Kirbie’s Cravings discovered an awesome (and delicious) way to make blueberry muffins in your dorm room microwave! Check out the recipe here! Avoid the Freshman 15 by choosing to stray from the instant foods and whip up some healthy and tasty tuna wraps! All of the ingredients can be stored in your mini-fridge and made in a timely fashion. Check out A Pinch of Healthy’s recipe for a Mediterranean-styled tuna wrap. Can’t get enough of mug recipes? Us either. This version of Mug Mac & Cheese uses real ingredients instead of what you’ll find in a box. See for yourself! This innovative way to make grilled cheese in your dorm is definitely a favorite. Who knew an iron could be used for more than keeping your clothes wrinkle-free? On those cold winter nights, you can get the comfort of a homemade grilled cheese without having to go home for it. Cute DIY Project nailed this one. Learn how to make it here. Have awesome dorm room recipes of your own? Reach out to us on Faebook or Twitter and let us know! 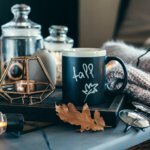 Freshman 15 – Myth or Fact? Everyone has heard the phrase “freshman 15”, but how much of it do we know to be true? After much research, we’ve concluded that this phrase can actually be true, but only if you allow it to be. We all know that starting off your college career can be a scary and stressful time, especially if you are moving across the U.S. away from home. Living on your own, whether in a dorm or apartment calls for responsibility. Even though studies have shown that the freshman 15 is realistically more like the freshman 3-10 (lbs.). If you don’t prepare, then you can definitely be at risk to gain some college weight. Remember, the freshman 15 will only come to be if you allow it. Monitor your eating habits and take care of yourself! https://doortodorm.com/wp-content/uploads/2015/10/bigstock-A-Pair-Of-Female-Feet-On-A-Bat-65470120.jpg 1867 2800 admin https://doortodorm.com/wp-content/uploads/2018/03/Door-to-Dorm-Logo-Color-e1521936108673.png admin2015-10-14 19:45:212018-08-08 15:16:03Freshman 15 - Myth or Fact? We bet you are excited to begin classes and move into your dorm room, but you still have a few weeks left of summer. Why not get your dorm decorations ready? DIY projects are super fun and you get to show off to all your friends! We searched for some of the coolest DIY dorm deco projects, for you to use, courtesy of Pinterest! 1. Light up your room with some fun and colorful lights. These are are sure to start up conversation, with the opener, “who knew ping pong balls weren’t just for playing games”! Click here to find out how to make these fun lights for your room! 2. Transform your room using washi tape! Click here to see all the different ways washi tape can be used! 3. Give yourself some privacy with a new dorm bed canopy! Find out how to make it here! 4. Make a colorful rainbow using paint chips or samples! Head down to your local hardware store and ask for some paint samples or paint chips, using your imagination, create a colorful design to attach to your wall! 5. Create a cool, organized desk supply holder using emptied Pringle cans! First you snack, and then you stack! Click here to make your very own!